Home Anime Pokémon The Movie: The Power of Us gets PH cinema release! Calling all Pokemon fans in the Philippines! Mark your calendars Pokemon fans both young and young-at-heart! Pokémon The Movie: The Power of Us is getting an official Philippine cinema release next month, specifically on December 5, 2018! The Pokemon movie’s release in the PH was confirmed recently by a post from the official Pokemon Philippines Facebook page. While Pokemon Philippines has yet to confirm the list of cinemas that will screen the movie, the official confirmation post said “Catch them all in cinemas near you!” which seems to indicate that this will be a wide release. Pokémon The Movie: The Power of Us is the 21st full-length Pokemon movie, though you don’t have to watch the rest of the Pokemon flicks to understand this. 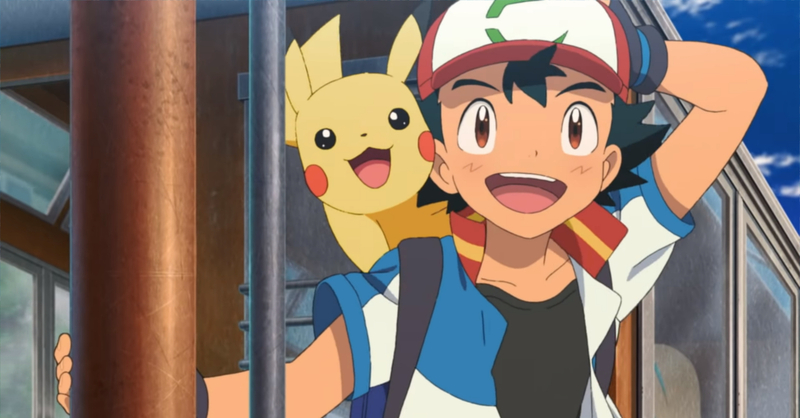 The Power of Us is a direct sequel to last year’s Pokémon the Movie: I Choose You!, which is in itself a standalone movie (meaning it’s a separate continuity from the animated series). The Power of Us follows Ash and Pikachu as they travel to Frau City to experience the Wind Festival — an annual event where the legendary Pokemon Lugia appears and gives the city blessed wind to power itself. Aside from Lugia, the mythical Pokemon Zeraora will also make an appearance in the movie. While the new Pokemon movie will be released on December 5, it was first released in Japan back in July 13, 2018 where it earned over 2.6 billion yen (around USD $24.3 million).